We often hear feedback from people that goes something like this: "Wow, all those children, and so talented... you really have your act together!" I wouldn't be honest if I didn't address this perception (or more appropriately the common misconception) that the Lindsey Family "has it's act together". We desire to have our act together, but we're far from it. What people see is only the outside. That's not to say that we're different on the inside. I make a point to be as transparent as possible with everyone I meet - sometimes so transparent it makes my wife and children uncomfortable. We have issues and skeletons and struggles - perhaps more than most given our direct targeting by the enemy for the public influence we steward - and not all of them are publicly exposed. The truth is we don't have our act together. Perhaps if we compared ourselves to the world we might feel better, but when we measure ourselves from the only absolute reference point, which is the perfect heart of Christ Jesus, we fail miserably. I'll be brutally honest here. Knowing the immense responsibility of ensuring that our public ministry is not hypocritical is overwhelming sometimes. But we'll continue to walk through the doors the Lord opens, even at the risk of shame for being less than perfect, praying all the while that we don't dishonor Him in the process. It is encouraging to know that folks are blessed by what we bring, and it strengthens our resolve to press on through the process of rearing our children to adulthood and sending them out with our blessing. Unfortunately by that time, there will be no way to make up for what we missed. That's my all-consuming passion in this phase of my life... ensuring that everything we do today makes sense for thirty years from now so when we get there we're not full of regrets. It's my current concept of what the bible means by vision, right or wrong. Keeping all the above in mind, it is a blessing to be able to proclaim today that I am mostly satisfied with the hearts of all my children. They have zeal for Jesus, they know right from wrong even if they (as I) often miss the mark, and they understand forgiveness - both the giving AND the receiving - so that their lives, for the most part, are marked by clear conscience. As they grow their choices increasingly demonstrate wisdom and I'm seeing mostly good fruit. But until our children are all grown and have children of their own that serve God with a passion, the jury is still out on whether we have our act together. Lord, bless the work of our hands, and guide us firmly into the center of Your will. Amen. Olivia (12-28-2009) thinks the world exists for her. Seriously, when someone comes into a room, she's sure they've come to see her! Truth is, she's worth seeing. She has been singing since before she could walk and carries a tune impeccably. These days, it's hard to get her to stop singing once she starts. She loves people in general and never fails to melt audiences everywhere. Michael (1-5-2007) has more energy than the rest of the band combined. We've decided it might have something to do with the candy and pop that gets doled out to him at every concert from every well-meaning grandparent in the room! Michael is fun-loving, energetic, never-stopping BOY! He is a fine little singer and has taught himself the introduction to "Boogie, Woogie Bugle Boy" on the dobro. I think he might be headed somewhere! Liberty (12-31-2003) hasn't decided which instrument she wants to play yet. She does a great job singing, though. You'll usually find her scoping out audiences for babies which attract her like a magnet! Liberty is very friendly and enjoys talking with everyone she meets. She's also very helpful with Olivia. She is taking after her big sisters in loving to read and she also enjoys knitting and crocheting. 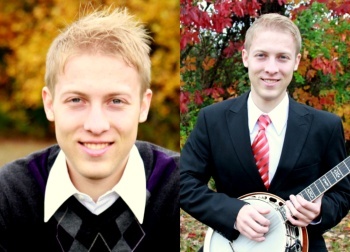 Timothy (1-16-2002) is the new banjo player for the group filling some pretty big shoes after Jared left for college. He's doing great and has already given impressive performances at the Kentucky State Fair and at Silver Dollar City--some pretty big venues for the new kid on the block! Timothy also sings and enjoys being comic relief on stage. He is very helpful and knows how to do a lot for a young man. If he's not telling us jokes from his joke book, he’s describing what kind of clouds or stars he sees outside as he recalls his science lessons. He's a keeper! Susanna (6-20-2000) is the shyest of the bunch. She prefers not to be on stage though she, too, has a powerful, beautiful voice. She also loves to play piano and has been joining in on some of the new music the kids are producing. Susanna loves to read and is a deep thinker. She takes care of CD set up and sales for the group and also helps out when the little guys need oversight. Naomi (1-27-1998) has a powerhouse voice and has been contributing more and more to vocals recently. 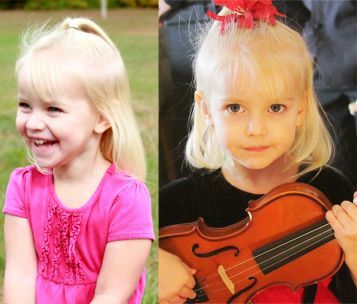 She plays mandolin and pennywhistle and is developing her fiddle skills. But her real love is the piano and she plays it delightfully. You'll be hearing more from both her and Susanna as the style of the music changes a bit to accommodate their gifts and talents. Naomi's gregarious ways and contagious laughter always stand out to people. She has a way of making everyone feel happy and accepted. 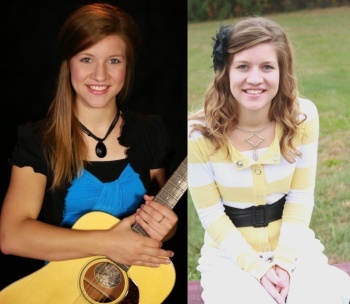 Rebekah (7-30-1996) plays rhythm and lead guitar and lends her angelic voice to most of the music. She is also very talented on piano and enjoys praise music. She and Caleb have recently been writing and producing some pretty amazing songs which will debut on the album "Some Things Never Change" scheduled for release in July, 2013. 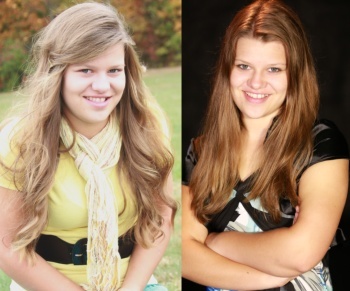 Rebekah is our "Pollyanna" usually maintaining a bright outlook and plugging in to help wherever help is needed. She is in charge of coordinating all of our show clothes--no small task! 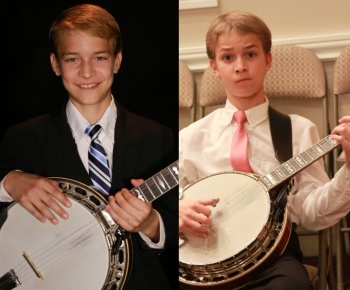 Caleb (5-6-1995) began playing guitar at age six and mandolin a few years later. Mandolin has become his featured instrument, though he is a talented flat picker on guitar and plays just about anything else he touches...without having to try very hard! This has been a constant annoyance to his father who has to work for every note! Caleb also manages all of the sound for the group and has become very knowledgeable about sound systems. He recently became a dealer for Bose. So, if you're in need of a sound system with easy set-up and great results, Caleb is your man! Give him a call. Caleb also does a lot of the bus driving when we're on tour. He's just pretty handy to have around! 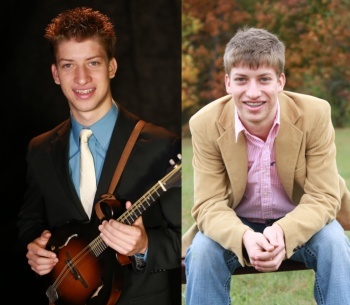 Ben (1-5-94) started playing fiddle for the group at nine years old and held that position until the spring of 2012 when he moved to Oklahoma to seek out his next step in life. The next step ended up involving a sweet young lady. Ben and Emily were married on May 11, 2013 and reside in Cushing, Oklahoma where Ben works with his father-in-law in the insulation business. Music is still deeply rooted in Ben who plays keyboard and helps lead worship at his home church. With his outgoing and charismatic personality, he is incredibly gifted in playing and singing worship-style music. Elisabeth (7-13-1992) shines as a vocalist, singing harmony as well as lead. She keeps the rest of the band in time with her skillful bass playing and tends to be the glue that holds us all together...period! 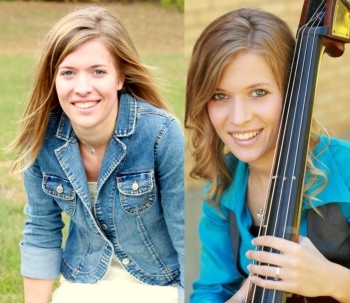 She is a talented pianist, and also plays mandolin, guitar and a little fiddle. 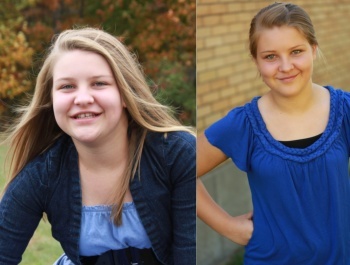 When she is not playing bluegrass music or working with the family business, she enjoys reading and photography. Check out her photography page on Facebook. Jared (4-30-1991) began playing guitar at age six, and took up banjo at age nine - this became his featured instrument, although he also plays bass and piano, and has been known to pick up a dobro. He is a talented songwriter as well and has a whole repertoire of amazing songs buried somewhere in a file...you all should encourage him to record a songwriters CD... In August of 2012, Jared left the family band to pursue a college degree at Ohio University in Athens, Ohio. He is studying Bio-Medical Engineering with the goal of continuing on to Medical School. He hopes to take his skills as a doctor and his hope as a Christian to the people of Venezuela one day. Mama (Tammy) is the heart of the family. She likes to say that she's produced more talent than anyone in the band! (Though in reality we know we have God to thank for that!) She joins in vocals and aspires to learn some instrument someday - when all of the children are grown and stop surpassing her every time she tries! Right now, she tends younger children and manages the scheduling for the band. 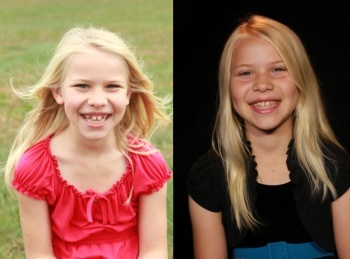 She loves to write and has added one song to the family's repertoire so far. 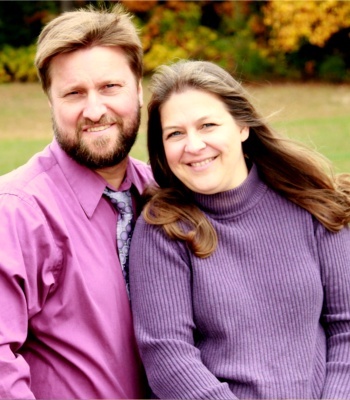 She spends most of her time supervising a bustling home, training children, and overseeing homeschooling. She is also the encourager of the family and has mercy to spare! Papa (Alan) is our fearless leader! Because he believes in his children, they have always believed that they can do anything--and they can! He has always sought out ways to connect them with their interests and provide opportunities for them to learn and grow. 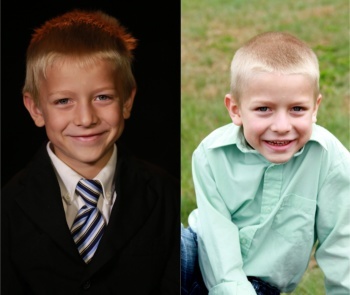 Most importantly, he leads the family in Bible study and prayer each day. That foundation has served the family well and held us together in difficult times. His insistence on doing things well and giving 100% has produced what you see and hear today. In the band, he plays rhythm and lead guitar and has a distinctive voice that people love. He can come and go on stage and the music goes on. One goal is met. He has reproduced himself in his children--both in music and in faith.